When Should You Use an Interpreter for a Video Conference? During a video conference in the Bay Area , an interpreter can be a valuable resource. There are several instances in which interpreting may be needed during video conferencing, and these circumstances are only becoming more common in today’s global marketplace. Here are just a few of the instances in which an interpreter can be helpful in your video conference. You’re conducting a deposition with a language barrier. If you’re conducting a remote deposition via video conference with someone who speaks a different language, working with a court certified interpreter is key. It is extremely important for the person being deposed to understand your questions exactly and to be able to convey precise answers to you. An interpreter can help not only with translating the testimony word for word but also with capturing context and idioms that could otherwise interfere with understanding. When you hire an interpreter for a legal proceeding, make sure that person speaks the same dialect of the language as the person being deposed. You’re hosting an international business meeting. In an international company, video conferencing brings people together without the expense of travel and accommodation. However, language barriers can present difficulties in sharing information that can only be overcome with an interpreter. You may need multiple interpreters to take part in the same meeting if you have locations across several countries. Interpreters can also help businesses conduct transactions across borders with customers who speak a different language. Hiring an interpreter for this kind of transaction lets your business ensure that your customers understand all of the aspects of the deal. You’re a doctor conducting telemedicine visits. Video conferencing is instrumental in providing healthcare access to people in rural locations through telemedicine services. However, doctors and patients need to be able to communicate freely with each other, and when they don’t speak the same language, that will be impossible. An interpreter can make sure patients get the care they need and help doctors understand what their patients are telling them. Court reporters are highly trained professionals who must adhere to specific education and licensing rules. Before you hire court reporters in San Jose to assist with your deposition or legal proceeding, make sure that they have the appropriate credentials required under California law. Court reporters go through several steps to become licensed in California. 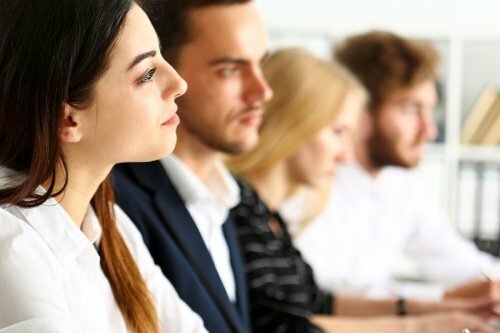 They must attend a state-approved court reporting program that includes training in English, law and medical terminology, transcript preparation, computer technology, California and Federal laws that apply to court reporting and on-the-job training. Overall, they must complete a minimum of 660 academic hours and 2,300 hundred hours of work on a stenograph machine. Court reporters must also pass the state licensing exam. The exam consists of three portions of grammar, law and technical terminology and stenographic skills testing. To pass, court reporters type at least 200 words per minute with 97.5% accuracy. Court reporters must also pass a criminal background check and renew their license annually to be eligible for reporting assignments in legal matters in California. When a deponent wants to change his or her deposition testimony from what the transcript reflects, there are several factors to consider. Although changing the testimony is per California law, doing so is not always in the best interest of your case. After you receive a transcript of testimony from your court reporter in San Jose and discover that your client needs to make a change, here is what you need to know. What are some reasons for correcting depositions? Generally, the reason to consider changing deposition testimony is to make sure it accurately reflects everything that the deponent knows about the case. If the original testimony left out important details or could otherwise be misinterpreted, correcting it during the deposition review prevents the need for the deponent to have to change his or her testimony during trial. Substantive errors about facts of the case or transcription mistakes that change the meaning of the testimony can all adversely affect a case, even before it gets to trial, if depositions are used in pretrial hearings and negotiations. For these reasons, correcting a deposition that contains errors could be advantageous. What are the drawbacks of correcting depositions? Although correcting a deposition prevents the opposing counsel from pointing out inconsistencies in testimony at trial, the need to correct testimony even during the deposition review opens the door for the opposing counsel to call all of that deponent’s testimony into question as unreliable. Making corrections could also highlight a weakness in your case that might otherwise have gone unnoticed by the opposing counsel. When you make corrections to any part of a deponent’s testimony, you could inadvertently miss small details that should have been updated during the change as well, which can cast the testimony as unreliable overall. How can you decide whether to correct a deposition? Correcting small changes, such as typos or other minor transcription errors, is easily accomplished without impacting your case. For more substantive changes, you must weigh the value of correcting the transcript before trial and potentially opening up new challenges in the case to the impact of changing testimony on the stand during the trial. 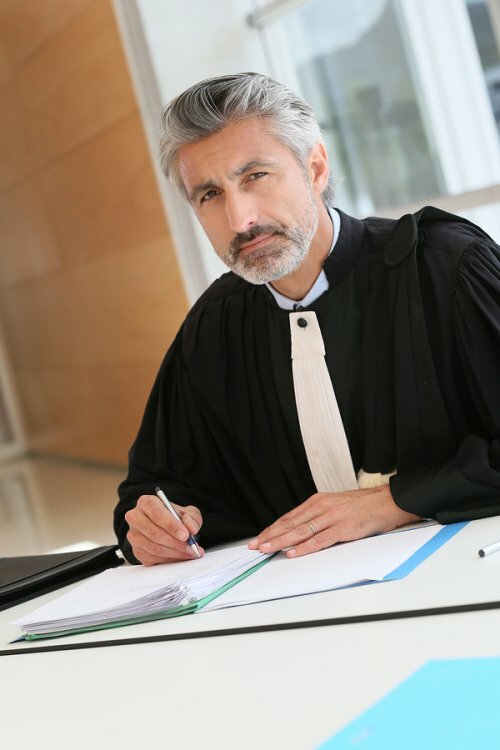 Court reporting services aren’t just needed in legal depositions and courtroom cases. There are several ways in which having a certified shorthand reporter can also be helpful in the corporate setting. Here are just a few of the reasons you should consider hiring a court reporter in San Jose to assist in your company’s activities. A court reporter’s record is helpful in the corporate world for much the same reason that it’s required in the legal setting: because relying on memory alone to recall details of important interactions is faulty. A court reporter can be valuable to your company by creating an accurate transcript of interviews, business meetings, and other interactions. The transcript can then be used to review details that were discussed and decisions that had been made, without any misunderstandings that can arise because of inaccurate memories. 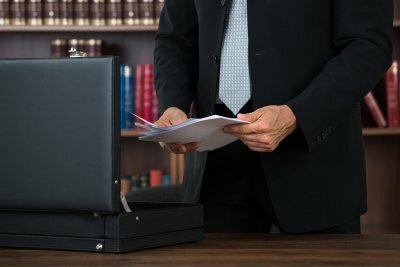 Court reporters are also the best source of video conferencing solutions and can provide certified recordings of interactions that occur via video conference, so your business can make greater use of remote meetings and interviews without any concerns about maintaining an accurate record of the discussions. The most challenging part of a video conference isn’t the planning or the technology. Instead, it is actually engaging your participants as effectively as you would at a face-to-face event. Fortunately, many of the same strategies you would use in person can be applied for video conferencing, albeit in slightly tweaked formats. If you are planning a video conference in Palo Alto, California , work closely with the court reporting firm that is facilitating the teleconferencing event to play each portion of the conference carefully. These tips will also help ensure that you keep your participants involved with your presentation. If you have multiple things you want to communicate during your video conference, resist the urge to present it all in a single monologue. Instead, break down each point into a presentation that is no longer than 15 minutes. By chunking the information in this way, you can keep your participants’ attention and get them to focus on each piece of information you are trying to convey. Break up your information chunks by giving small breaks or switching to an interactive activity before returning to delivering additional points. Just as you wouldn’t do an in-person presentation that doesn’t involve some visual aids, don’t conduct a video conference in which you rely exclusively on speaking into the camera. Include graphics, videos, and other visual aids to hold the attention of your participants and make your presentation interesting. Your participants may not be in the same room, but that doesn’t mean that your video conference can’t be interactive. Although it is helpful for people to mute their mics when there is a formal presentation taking place, you can open up the floor for conversation by sprinkling chances for interaction throughout the conference. If the number of participants makes it difficult to completely open the floor, do so in stages to allow smaller groups a window of time to speak. You can also keep a chat window open throughout the conference and use it to encourage discussion. When your firm is hiring and you want to cast your net for applicants outside of your immediate area, video conferencing offers the opportunity to interview candidates remotely, without the additional expense of travel costs. 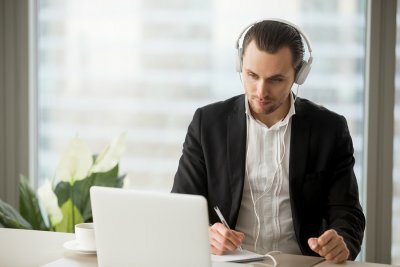 If you choose to use video conferencing in Palo Alto, California to conduct remote interviews, these tips, including using a court reporter , will help you find the right person for the job. Before beginning a remote interview, be sure you have tested the video conferencing technology and know how to use it. It can be helpful to use a facility that offers full-service video conferencing solutions, so you can rely on access to high-quality, well-maintained equipment and have the backup of the staff to facilitate your conference. Consider using technology that allows you to share documents with the candidate at the same time you are conducting the interview, much as you would in person. If you have never used video conferencing before, it can feel unnatural the first time you sit down in front of the camera. Before conducting an interview, practice holding video conversations so you become confident with the medium. Be sure to speak clearly and in the direction of the microphone to avoid miscommunications. Of course, both you and the candidate should dress as you would for any job interview. Within the context of a video conference, it can be difficult to remember what was said after the interview is over. When you use a court reporter, you can get a verbatim transcript of your exact conversation. This is especially helpful when you are interviewing multiple candidates and want to compare answers, compensation requests, and other factors. Often you can hire a court reporter from the same facility where you are conducting your video conferenced interviews. These services can go hand-in-hand, allowing you to focus on the conversation without worrying about taking extensive notes, with the confidence that you will have a precise record afterwards of the interview. Like the rest of the world, the legal field has gone digital. That means that hiring court reporters that can’t keep up with these new demands will hold your cases back. When you’re choosing court reporters in San Jose for your deposition needs, make sure to vet their technical capabilities before hiring so you can stay in step with the new normal in the field. One of the benefits of working with a high-tech court reporting agency is that you get access to their video conferencing and teleconferencing know-how. Increasingly, attorneys are relying on video conferences for depositions instead of spending money on traveling, so it is important to work with court reporters who know how to use the technology and who are adept at working with remote witnesses. High-tech court reporters can also assist with document digitizing, legal videography, interpreting, and more. This allows you to engage in mobile and cloud discovery, remote depositions, and other advanced practices when preparing for a case. As with all parts of life, technology is changing the legal field. In addition to using video conferencing during the deposition process and document digitizing, attorneys are becoming increasingly reliant on using mobile and cloud delivery during the discovery process. When you hire a court reporter in Palo Alto, California , he or she must be well versed in using these technologies to be helpful in your deposition. Watch this video to see a discussion on the impact of mobile and cloud discovery in the legal field. 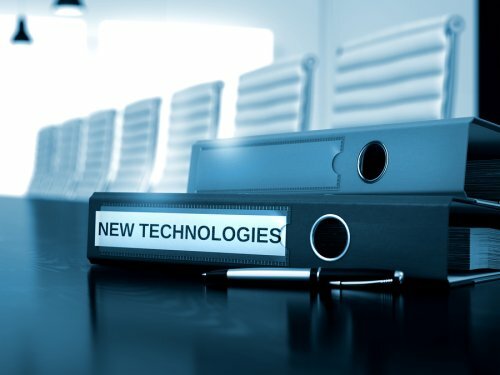 Attorneys can use these technologies during depositions and while planning their court cases for easy transmission of important documents. Document digitizing services, which may be available via your court reporters, can make the process easier. Sharing information this way is especially helpful during teleconferencing depositions, when physical evidence and information can’t be shared in person. For a plaintiff or defendant, the most nerve-wracking part of litigation is often the questioning during a deposition or trial. Lawyers can prepare their clients by discussing the basic format of the deposition and talking about the types of questions they can expect. While these are necessary steps to take, they cannot fully prepare a client for the experience of answering questions under pressure. The solution is the mock deposition. When it’s time to hold a mock deposition , turn to professional court reporting services near the Bay Area for assistance. You can book a conference room or even set up videoconferencing technology if your client doesn’t live locally. Court reporting agencies can also arrange to have an interpreter present if need be. By this point in the litigation process, it is likely that your client has become accustomed to answering questions from you. The usefulness of a mock deposition is limited when your client continues to answer questions from a familiar person. To thoroughly prepare your client for a real deposition, consider enlisting the help of another lawyer at your law firm whom your client has never met. This individual could play the role of the opposing counsel. Some lawyers even take the extra step of hiring a lawyer from a different law firm to fulfill this role. To truly set up an authentic deposition experience for your client, it’s a good idea to hire a certified court reporter. Your client will become used to the presence of the court reporter in the conference room and to the idea that his or her words are being recorded. This can help ease your client’s nerves on the day of the real deposition. Additionally, the court reporter can provide a transcript of this proceeding, which you and your client can review after the mock deposition. Just as if you were holding a real deposition, you should provide all the necessary instructions to your client beforehand. He or she should know to answer all questions honestly and to say, “I don’t know” where appropriate instead of trying to guess at the answer. Court reporters are tasked with the duties of legal transcription. The most common services a professional court reporter provides include the recording of statements and discussions during legal proceedings, depositions, and meetings. There are several reasons you may require the services of a professional court reporter outside the courtroom; your legal reporting service near San Jose, CA , can provide you with an experienced professional reporter for all your business and legal needs. Interviewing a new candidate for an important position within your business may require a lengthy discussion involving detailed questions and answers. Hiring a professional court reporter to transcribe your interview allows you to focus all your attention on the interview and the candidate’s reactions as they are happening, rather than requiring you to split your mental focus by taking notes on your own. The document provided by your court reporter allows you to review your candidate’s complete and accurate answers at any later time for more effective evaluation and comparison with other candidates during this process. Court reporters can also play a valuable role during business and legal meetings. The methods used for legal transcription allow a professional reporter to record all statements and information quickly and accurately for later review, ensuring the information discussed is noted in an organized and unbiased fashion. Rather than waiting one or more days for the transcript of your meeting, your professional court reporter can often provide a complete record of all statements made in a matter of hours. Court reporters can even serve as mediators during a meeting or conference by requesting that individuals repeat their words or speak one at a time for a more productive conversation. Depositions are legal statements recorded outside the courtroom for later submission as evidence. A deposition must be recorded by a professional court reporter, who will not only provide legal transcription of the statements given by the witness, but also administer an oath to ensure all testimony is truthful. Furthermore, your court reporter can quickly find and read back sections of earlier testimony during the deposition at any time.